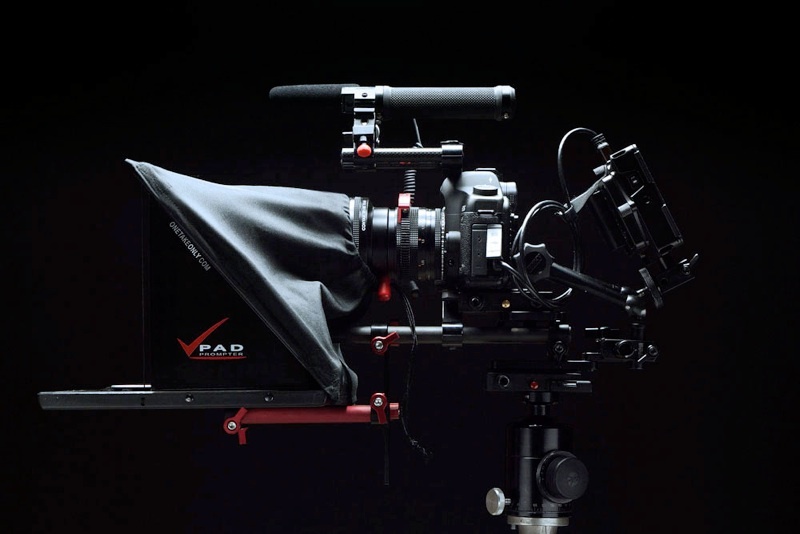 I did receive this prompter yesterday, it's a very nicely designed piece. I was more impressed than I thought I would be! Bravo on a solid design, I hope to get a lot o use out of it! 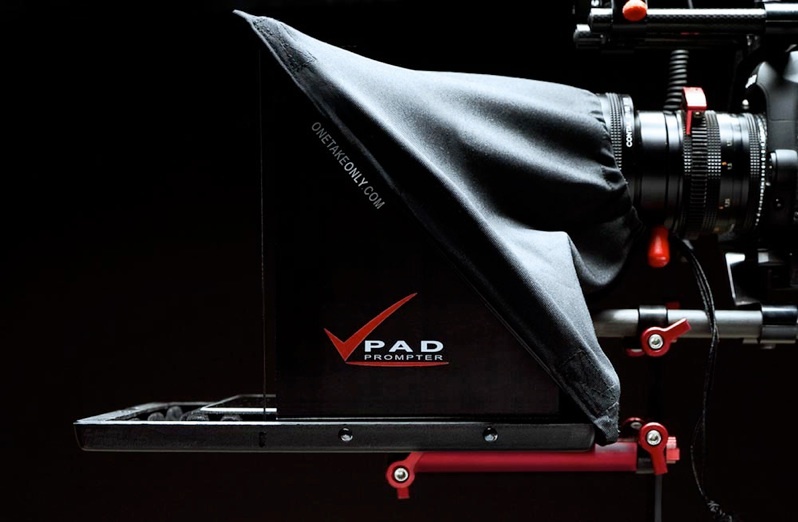 Used the Pad Prompter on is first real gig today - went well , no problems, quick & easy to set up & client was impressed. I'm very happy with the Pad Prompter and look forward to using it on many more jobs. Everything worked great on our shoot and the talent loved having it. I really like the design and ease in setting it up. I'm really impressed with the quality and I can't wait to use it to shoot video for the website I'm working on. I’m a small business owner and my partner Tara and I recently purchased a Pad Prompter and used it today for the first time. Love it. 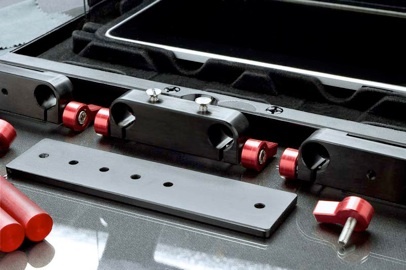 Very nice...hopefully you will begin to make rigs and other things for hdslr's, your workmanship and design are great! 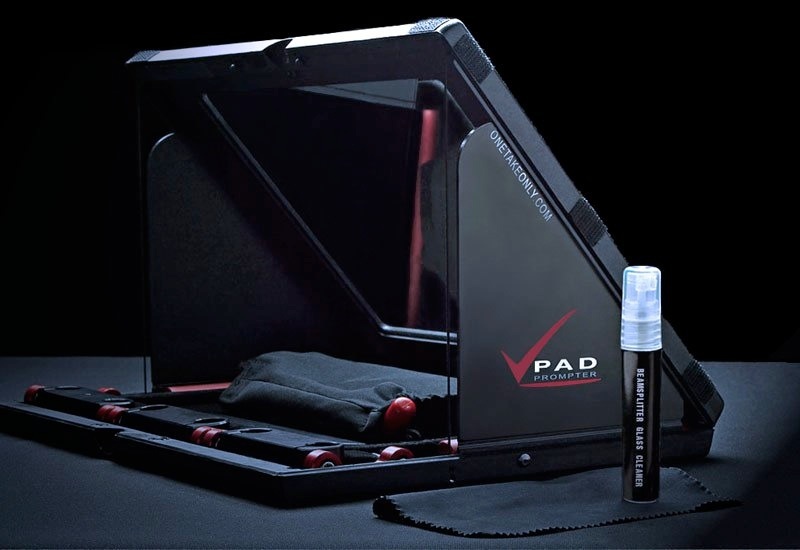 The Pad Prompter is a GREAT product. 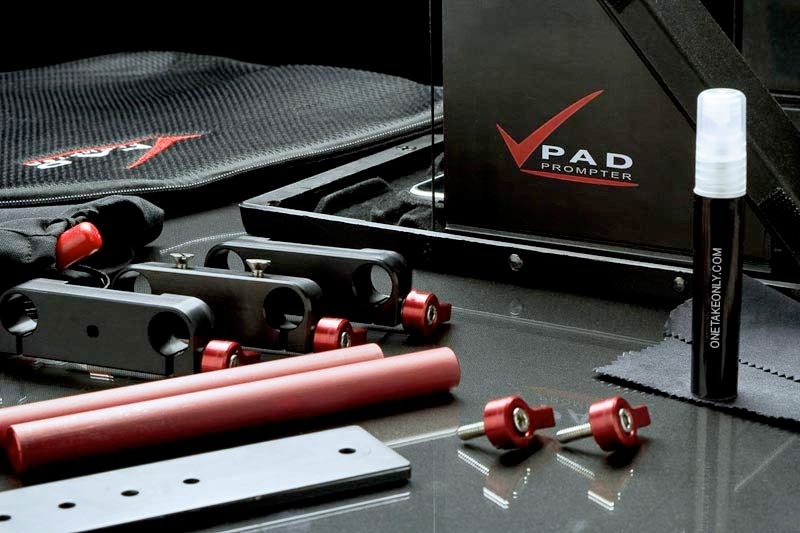 It's a well engineered product down to the smallest details, including the packaging. Andre from Onetakeonly was very helpful throughout my purchase process. I highly recommend the Pad Prompter. THINNER, LIGHTER, CHEAPER...than your laptop! Great product! It's EXACTLY the prompter we needed. Shipping was right on time. Hey Andre - I just got back from our shoot in Boston. I received my PadPrompter at the hotel, took it out of the box and started working!!! 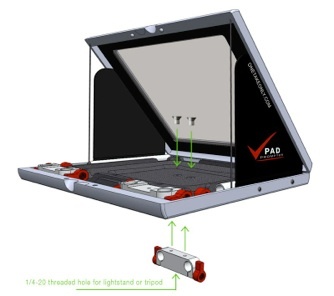 The prompter is as nice as in the picture & the finish on the bracket is amazing! Thanks for the quick turn around. 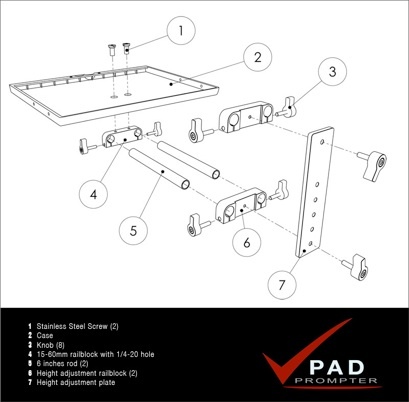 Le Pad prompter est très facile à assembler et fait remarquablement bien le travail. Il m'a sauvé la vie sur deux contrats de dernières minutes. Iphone as controller works great! Very happy with the ONETAKEONLY prompter. It is well designed, well priced and very functional. I thoroughly recommend it. I could not be happier with your quick turnaround, the quality engineering of the parts and pieces, the ingenious simplicity of the design, and its compactness for easy transport. Thank you for making the Pad Prompter. Got it today. This thing is beautiful. Every component is incredibly well thought out and well crafted. Everything was received as expected. I just finished attaching it to my tripod. I love the product. I can’t tell you what a difference the Pad Prompter made in our production. 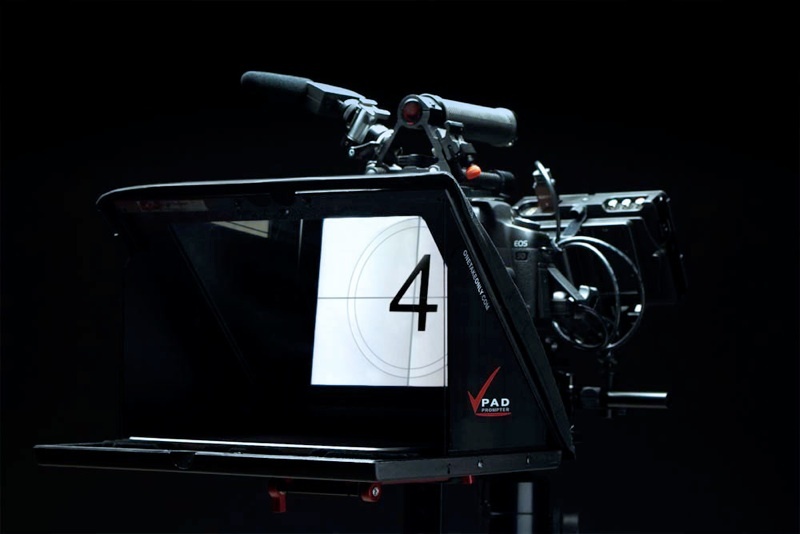 Using the prompter (with a Canon 7D DSLR) for a training video – and even using an in-house talent who had never read from a prompter before – resulted in a more professional production that was also much quicker to complete. I know you hear stories like this all the time, but I thought you should hear mine, too. Congratulations on a terrific product! Now I understand why you've gotten so many good reviews (they're all over the Web). Literally within minutes of unpacking the Pad Prompter I had it secured to Redrock rails and adjusted for my Sony EX1. Fired up the TelePrompt+ app (controlled with an iPhone) and started shooting. The talent was as delighted as I was. I have a background in broadcast TV, so I've been around a lot of TelePrompTers, and I must say I am blown away by the simple functional beauty of your approach to the Pad Prompter. It's built for economy and functionality; a lot of thought and care went into it's design and construction. 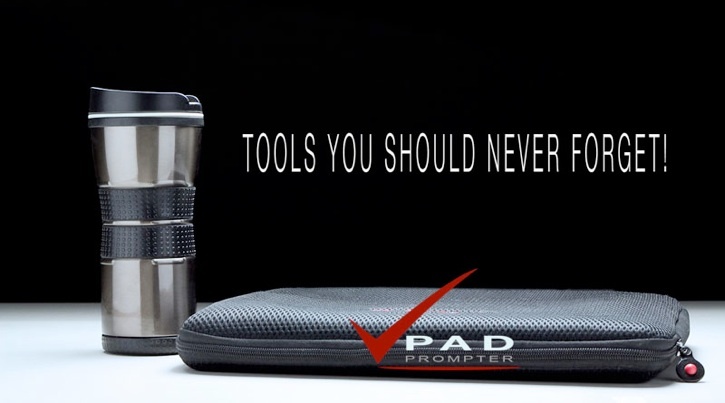 The principles of a prompter are fairly simple, and I had built one in my dreams a thousand times. But you actually did it! Thanks for a great product at a fair price. I can't wait to see what you come up with next! Thank you. I received the Pad Prompter Friday, and was shooting with it by Saturday. It worked perfectly, and the "talent" loved it. What a great product at a great price. Thanks again, and I'll be looking out for other stuff from your company. Special thanks to Neil Rosales of A Life Photographic for the photos and Matt Thomas from Thomas Arts for his expertise. Click on their logo below for all the infos.